GPP is excited to announce a new product that we’ll begin distributing immediately. Emerald-C Feed Grade is manufactured by Old Bridge Chemicals based in New Jersey. Emerald-C™ is a chloride-free, OMRI listed mineral feed ingredient proven to enhance animal health and performance. 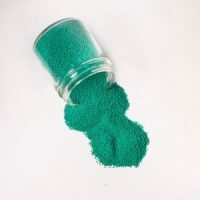 The free-flowing, copper carbonate-based green powder is ideally suited for humid environments. Extremely easy to handle and blend, Emerald-C is non-hydroscopic and insoluble in water. 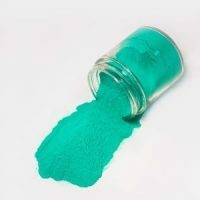 Emerald-C™ offers the simplest and most concentrated form of copper (56%) available with greater bio-availability than copper sulfate. It is highly stable and non-reactive with vitamins and other essential premix ingredients. As a bound copper, Emerald-C becomes active in the digestive system, where it counts! Emerald-C™ is manufactured by Old Bridge Chemicals in the USA at our HACCP and AFIA certified safe feed/ safe food New Jersey facility. Independent analyses of Emerald-C demonstrate that the product easily meets rigid EU criteria for the presence of dioxins and polychlorinated biphenols (PCBS).